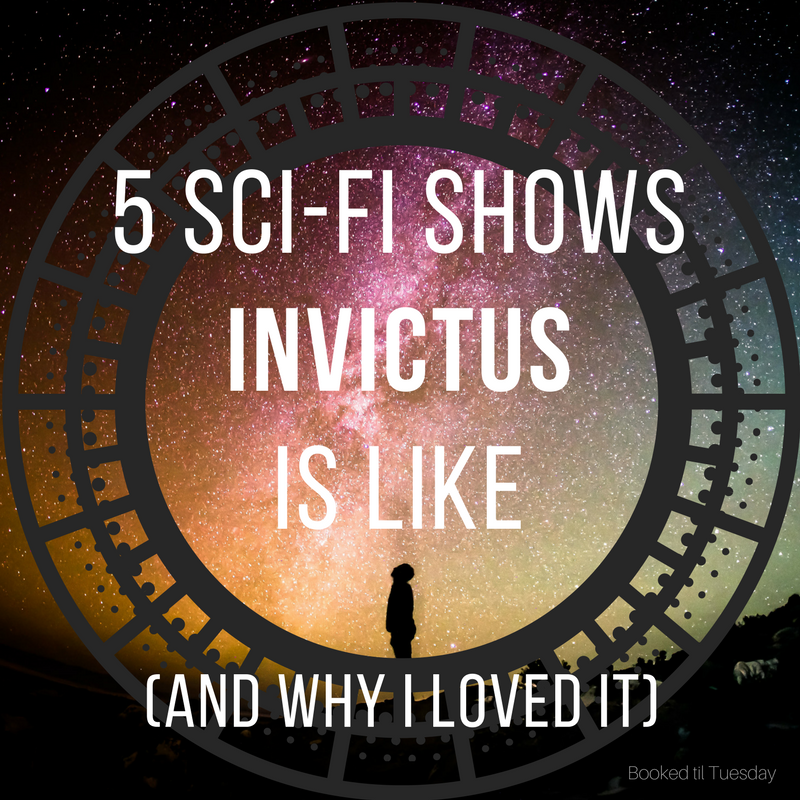 Invictus has gotten a lot of hype, which usually doesn't end well for me. This time, I am thrilled to report the hype did not lie. Ryan Graudin has done an amazing job, and this is one of my new favorite time-travel adventures. Farway is all set to follow in his mom's footsteps and begin an illustrious career as a glorified camcorder. Burn Notice technically isn't sci-fi, but like burned spy Michael Weston, Far has to make some new plans when the government gives him the boot. The good news for readers: his new game plan is much more exciting than the old. Far and his crew reminded me a lot of the Firefly team. You have these super different personalities and approaches all operating together in one small ship. But even though the crew's vibe reminded me of Firefly, it's a completely different crew, not Firefly knockoffs. The characters are all pretty well fleshed out. I wish I had gotten a better sense of one crew member sooner, but I was ultimately satisfied with her portrayal. Also, there is an awesome red panda. I want one. I love time travel stories. I especially love when we really use those suckers and go way back, like Ancient Egypt, the Middle Ages or the golden age of piracy. We don't see as much history as I'd like for (spoilery) reasons, but actually going back in time plays a big part in the story. It's not just a technology that's mentioned and never used. Elliot (the "mysterious girl" in the synopsis) is brilliant. I can't say more without spoilers, but I really loved her role and personality and the way she crashes in and turns everything upside down, like Trinity. Far is probably a little more Peter Quill (Guardians of the Galaxy) than Korben Dallas, but I love this movie (like Overboard, I stop and watch it whenever it's on TV), and there are a number of similarities. Long story short, this is the fun, crazy time travel adventure I've been waiting for. I loved the crew, the humor and I loved the panda! Highly recommended. Oh this is such a FUN way to review a book, I love it! AND you totally sold me- I am in love with Timeless so if Invictus is even kind of like it, I'm in! Plus, humor and time travel AND history? So much win. I need to bump this up to read ASAP! Great review! Thank you Shannon! I'm usually at a loss to talk about books I liked (moreso when you can't say much without spoiling it), so I'm glad this format worked! I hope you love it! Thank you! I'm with you. Good time travel stories are the best. 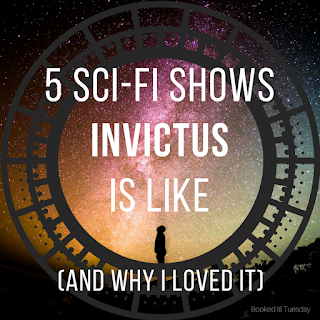 Hope you enjoy Invictus! This sounds so cool, I also got an ARC from NetGallery but for some reason I haven't yet picked it up, though now I'm really interested. I'm glad you liked it. Thanks, Marta! I'm glad it got your interest. Hope you enjoy it!